Chartered By The United Association on February 7, 1890, UA Local 11 has served northern Minnesota and Wisconsin for 130 years. We train plumbers and steamfitters in two zones that include Duluth, Superior, and Detroit Lakes. The map below shows the geographic zones we serve. 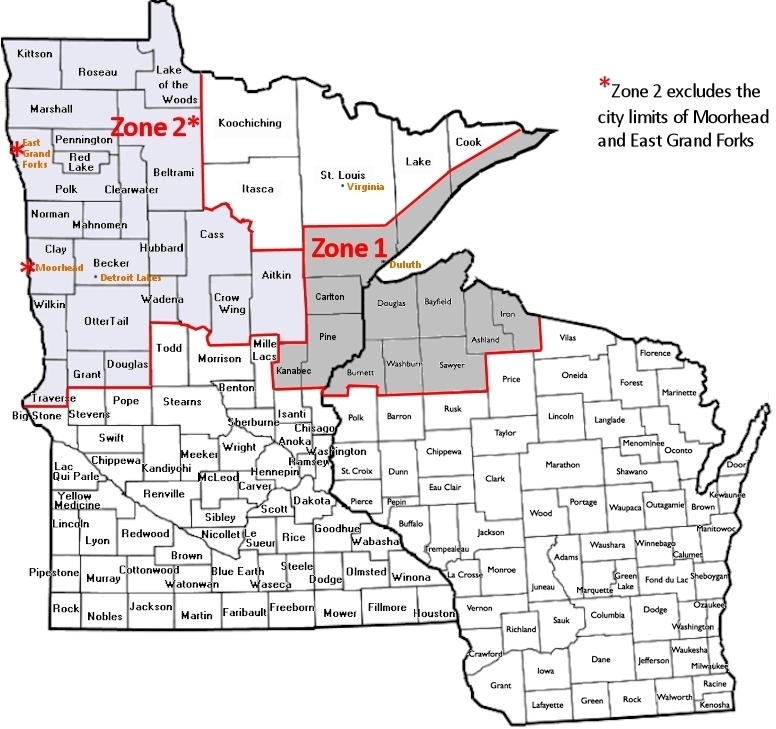 Please note that our region does not include the city limits of Moorhead and East Grand Forks in Zone 2. Meetings for UA Local 11 are held on the first Thursday of the month unless special meetings are called, in which case each member will be duly notified. The jurisdiction of Zone 1 includes the territory lying within a boundary of an east-west line across St. Louis County through the village of Cotton to a point north of Two Harbors, 20 miles from Lake Superior, then on a continuing line from the lake to the Canadian border and lying to the south including the counties of Carlton, Pine and Kanabec. In Wisconsin, counties included are Douglas, Bayfield, Ashland, Iron, Burnett, Washburn and Sawyer.